This smart combination of a light blue dress shirt and navy chinos is very easy to throw together in no time flat, helping you look stylish and ready for anything without spending too much time going through your wardrobe. So as you can see, it doesn't take that much effort for a man to look effortlessly neat. 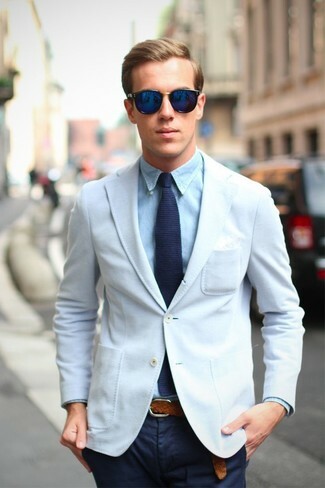 Just rock a Nordstrom light blue dress shirt with white chinos and be sure you'll look amazing. 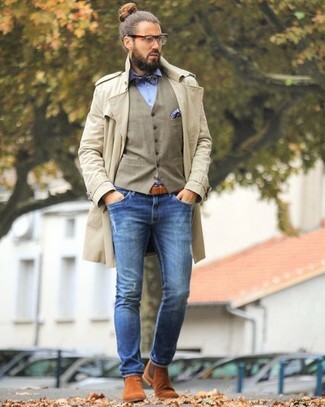 You can get a bit experimental when it comes to shoes and complete this ensemble with black low top sneakers. A Nordstrom Smartcarewrinkle Free Traditional Fit Pinpoint Dress Shirt Light Blue 185 36 from Nordstrom and a red parka teamed together are a match made in heaven for those dressers who appreciate effortlessly smart styles. Add black leather chelsea boots to the mix to instantly step up the classy factor of any outfit. 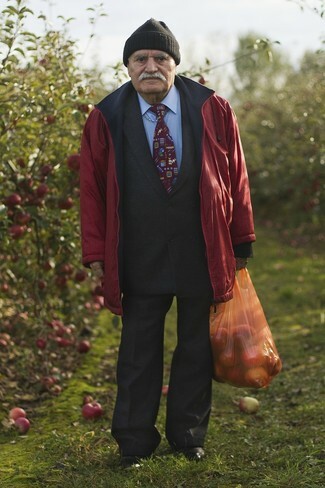 As you can see here, it doesn't take that much work for a man to look on-trend. 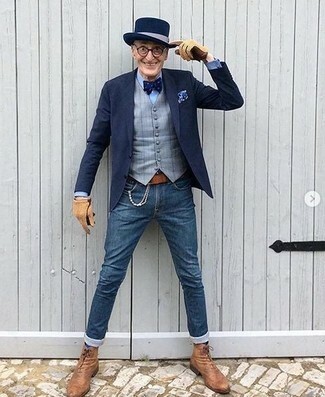 Just consider teaming a light blue dress shirt with blue jeans and be sure you'll look awesome. Polish off your ensemble with a pair of brown suede derby shoes. A light blue dress shirt looks so sophisticated when married with navy dress pants for an ensemble worthy of a proper dandy. 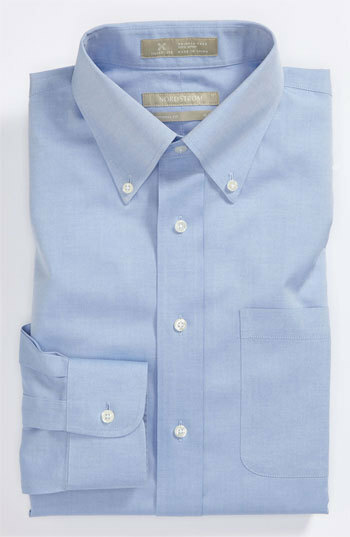 This elegant combination of a Nordstrom Smartcarewrinkle Free Traditional Fit Pinpoint Dress Shirt Light Blue 185 36 from Nordstrom and a beige suit is a favored choice among the stylish gentlemen. Finishing off with a pair of brown leather double monks is an effortless way to infuse a dressed-down touch into your look. 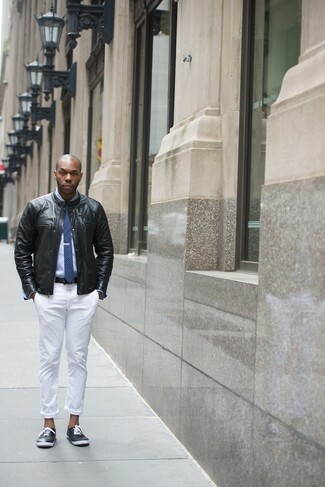 For a look that offers comfort and dapperness, rock a Nordstrom light blue dress shirt with blue skinny jeans. Finishing with tobacco suede chelsea boots is a fail-safe way to bring some extra zing to this ensemble. 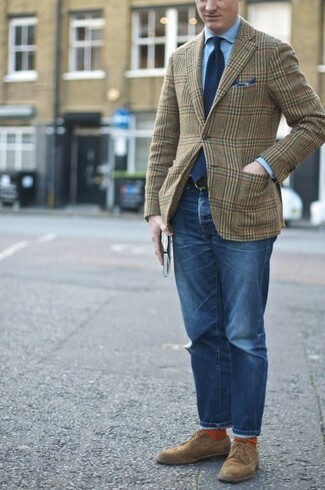 Prove that you do semi-casual menswear like no-one else in a Nordstrom light blue dress shirt and navy and green plaid chinos. A pair of black leather brogues instantly ups the style factor of your getup. 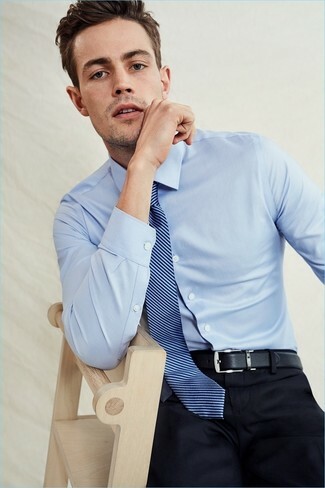 This combination of a Nordstrom Smartcarewrinkle Free Traditional Fit Pinpoint Dress Shirt Light Blue 185 36 from Nordstrom and blue skinny jeans will allow you to showcase your skills in men's fashion even on lazy days. Tap into some David Beckham stylishness and polish up your ensemble with a pair of tan leather dress boots.